NFU Vice President Stuart Roberts received a round of applause for his comments during Channel 4’s live discussion programme ‘Brexit: What The Nation Really Thinks’. 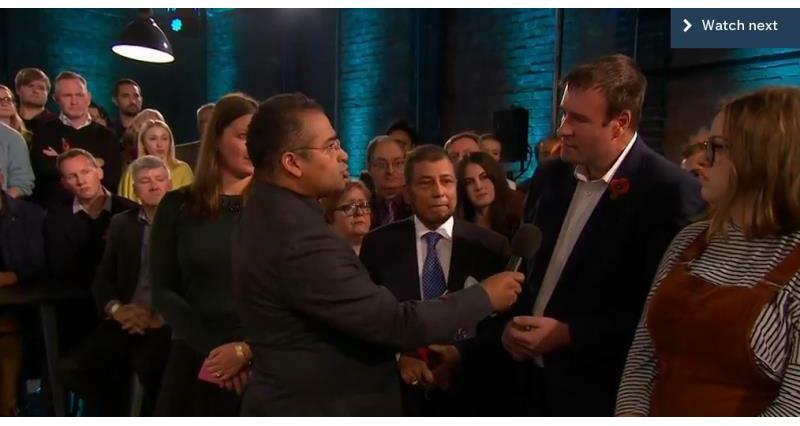 The live debate took place in Birmingham, hosted by Krishnan Guru-Murthy, and centred around a Survation poll for Channel 4 that revealed where the British public stands on key aspects of Brexit including immigration and the economy. The biggest ever independent Brexit opinion poll surveyed 20,000 people online across the UK between 20 October and 2 November. The results showed that 54% would vote to remain in the EU if the Brexit referendum was held again. Justice Secretary David Gauke, Shadow Trade Secretary Barry Gardiner, Green Party MP Caroline Lucas (representing The People’s Vote) and former UKIP leader Nigel Farage (representing Leave Means Leave) took part in the debate. The NFU press team arranged for NFU Vice President Stuart Roberts and national dairy board chairman Michael Oakes to be part of the audience. Roberts reiterated the importance of immigration to farming, the wider food industry and the economy and received the firm backing of the studio audience.